Virgil van Dijk has the attributes to achieve legend status at Liverpool, according to Jamie Carragher. 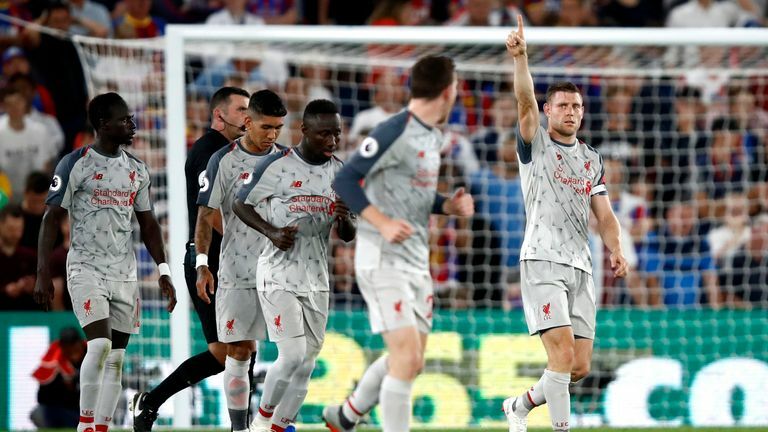 The 27-year-old's man-of-the-match performance helped Liverpool maintain their 100 per cent start to the season with a 2-0 victory at Crystal Palace on Monday Night Football. Van Dijk was a colossus at the back, completing 73 of his 79 passes and producing a game-high eight clearances and 16 aerial duels. Liverpool have kept nine clean sheets in Van Dijk's 16 Premier League appearances for the club, and Carragher believes he can write his name alongside the likes of Alan Hansen if he continues on the same trajectory. 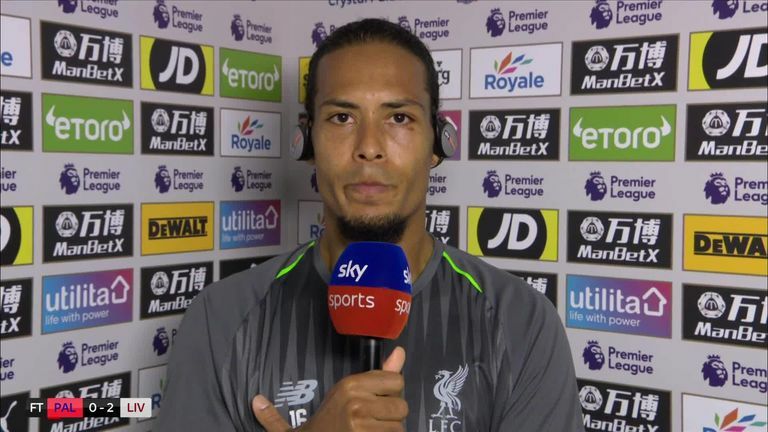 "I knew Van Dijk was a good player, but he is better than what I thought," Carragher told Sky Sports. "We've always said Liverpool can't win the Premier League because of their defence, but now they have Van Dijk, who I think is the best centre back in the Premier League. "I can't think of a defender off the top of my head that is better. He's the man to step into the positon Vincent Kompany has had over the last four seasons as that leader and colossus. "They are very similar as players - there is nothing they lack. When Kompany was at his best three years ago, I didn't think there was a centre-back that was better than him. "Over the next three or four years, if Liverpool could win a league or a Champions League, I think Van Dijk has the potential to actually go down alongside Alan Hansen if we're talking about Liverpool's best ever teams - that's how good he is and how good he can become. "If Liverpool under Klopp win something big, and Van Dijk is at the centre of it, he should be disappointed if he's not alongside Hansen when people talk about the great Liverpool centre-backs. "There isn't another centre-back that ticks almost every boxes in terms of presence, pace, strength and ability on the ball. "Normally a player has a couple of those, they are lacking somewhere else and their defensive partner will cover some of those areas. Van Dijk has all of them at the moment. "Players and leaders like him have to be the ones that take Liverpool to something big. That's when you'll be remembered, when you win something big."